Ericsson Spider phone and bell set. << Back Ericsson Spider phone and bell set. I have never seen an original for sale. 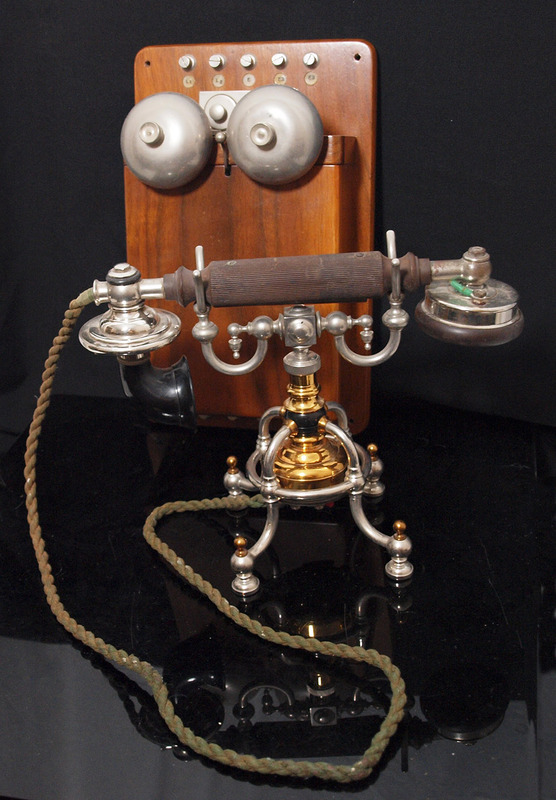 This is one of the rarest of telephones and never come up for sale. As you can see this is a work of art and not a cheap and nasty copy but a wonderful hand made craftsman's copy. The handset and cord is original but everything else is handmade. The bell is authentic inside with a coil and ringer etc. When I bough this around 20 years ago I was told only 10 were to be made. I used to spend all my money on telephones back then and this has just come out of storage along with other wonderful items.